Home Additions the Modular Way! Modular Home Additions showcased on the Marc and Mandy show. Watch Marc’s interview with Dule as he talks about adding value to your home through the use of home additions. 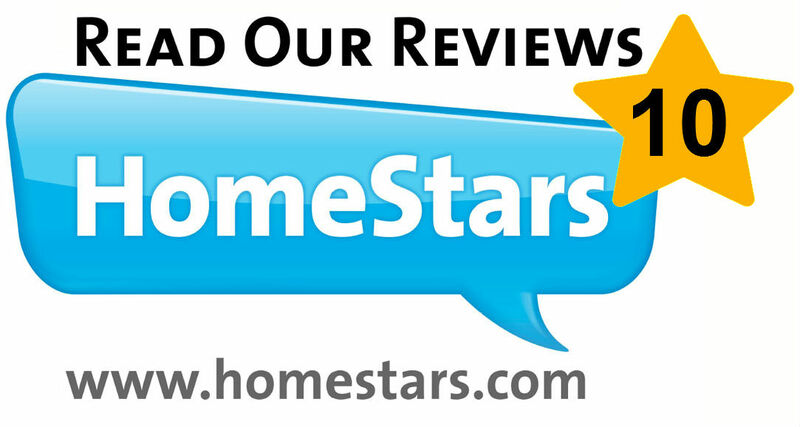 Interested in learning more about the best in the home additions business? Visit our website for more information or contact our team directly. As housing prices continue to skyrocket and the inventory of Canadian homes becomes increasingly smaller, multi-generational homes have begun to experience a renaissance. Parents and adult children as well as grandchildren are coming together to live under one roof. To learn more about the impact this lifestyle trend is having on the home renovation industry, eieihome.com went to Vadja Jericevic, President and CEO of Modular Home Additions LTD. Previously, the Canadian version of multigenerational living typically meant that a grown child had taken up residence in the basement of his or her parents’ home; however now, that is not always the case. “In-law basements suites are not that common anymore,” Jericevic tell us. 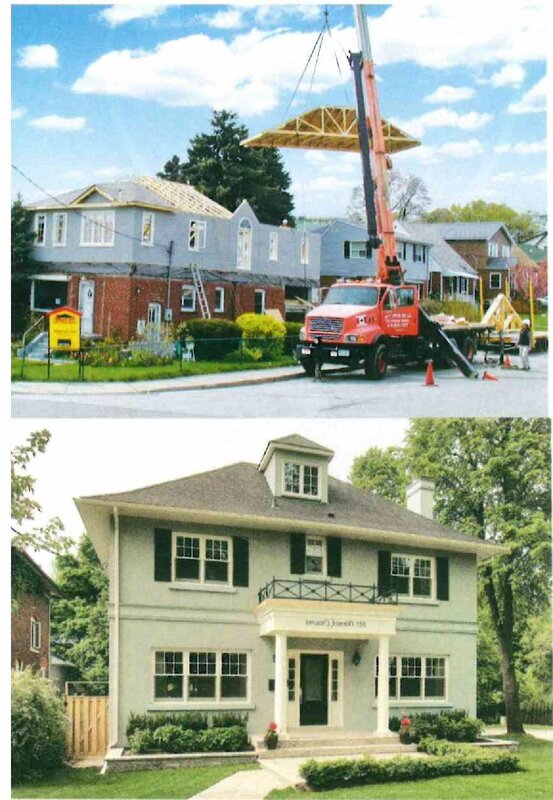 “Most often side, back or 2nd floor additions are discussed in cases where two families will be living together”. In many households, the home’s living room, dining room and kitchen are shared, with the addition providing a separation of the sleeping and bathing quarters. “[Older] parents usually get [a bedroom and separate bath] on the main floor in order to avoid the stairs, and the younger part of the family gets to climb to their bedrooms,” Jericevic says. Eieihome.com: Are you ready to renovate? Have you been thinking about renovating your home for some time now but you don’t quite know who to call or where to begin? In order to help you with the process, eieihome.com reached out to Bole Cirovic of Modular Home Additions, one of the GTA’s leaders in home renovation services. It’s never too early to get the process started. 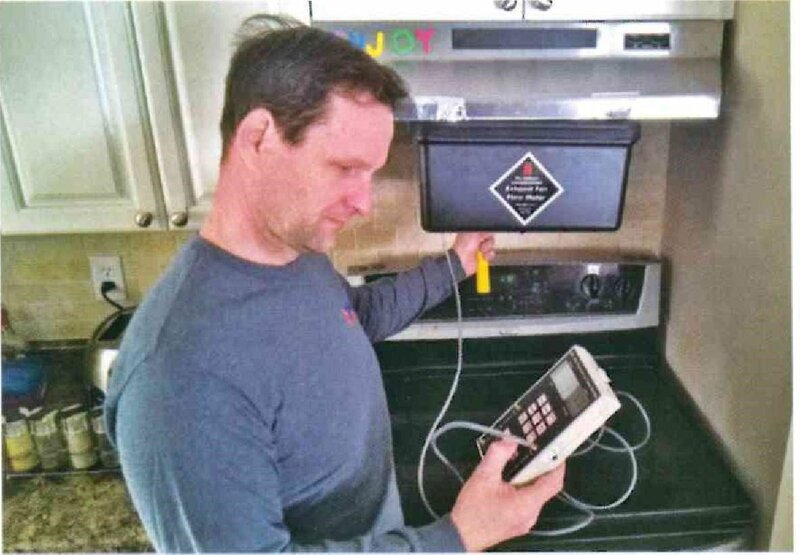 “One of the most common misconceptions about the renovation process is that contractors can get started within 4-6 weeks of making contact.” Cirovic says. The reality is that timeframe actually looks more like 4-6 months, so if you were hoping to get in touch with a contractor today to start your renovation this summer, you are out of luck. The city permit process is time consuming, but the good news is that Modular Home Additions goes through the hassle for you. Renovations 365 days a year. Although it may take longer then you hoped to get your renovation started, the good news is that Modular’s unique installation process allows them to work year-round. “ Believe it or not, renovations are actually easier in the winter because it is a drier season with less rain and wetness” Cirovic says. Read more . The Canadian Home Trends Winter 2016 Edition Is Here! 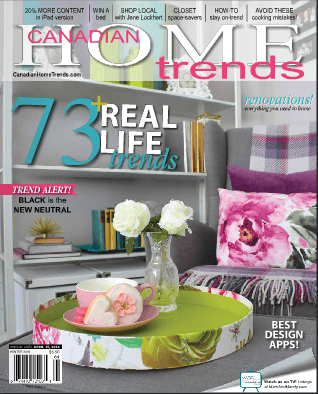 The Canadian Home Trends Winter 2016 Magazine is here! Click here for your free online copy and discover everything trending this winter for your home. Modular Home Additions will be at The National Home Show! 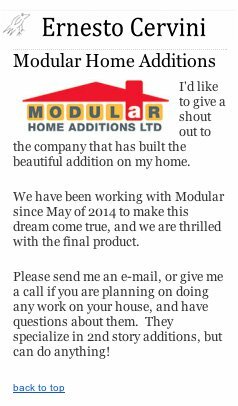 Modular Home Additions Ltd will be exhibiting at the Home Show in March. Make sure to stop by our booth and see how we can help grow your home in 3 days! The Home Show will begin Friday March 11-20, 2016. Our Booth will be #2807. 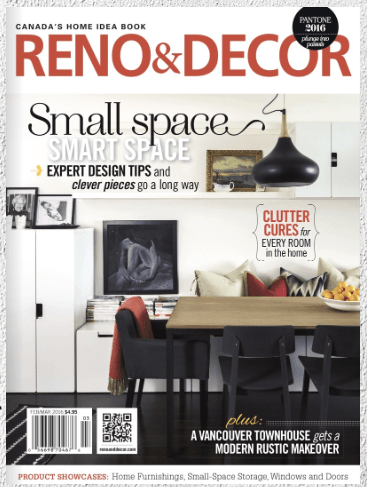 Feb/Mar Digital Edition of RENO&DECOR is now online! The Feb/Mar Digital Edition of RENO&DECOR is now online for your reading enjoyment! Click here or image below to start reading now! Get Inspired with our ideas, tips & trends for small spaces, decluttering cures and so much more! One of our clients, Ernesto Cervini (famous jazz drummer) had very kind words to say about us in his newest newsletter. The digital edition for Renovations 2015 is now available You will find your complimentary copy here ! We’d love to hear your feedback once you have had a chance to browse this issue! As the weather continues to get warmer, the more uncomfortable the heat will get. If you have an air conditioner in your house consider yourself lucky, however when you leave it constantly running your bills with continue to get higher. This option is one of the most obvious, but it is also the most common way to cool yourself down. By using a portable fan it allows you to cool down in any part of the house you desire. Fans cool people, not spaces. Air motion over our skin helps evaporate sweat and transport our body heat away from us, which can help us feel three to four degrees cooler. Fans come in many different shapes, sizes and styles. Choosing the right fan your space will keep you nice and cool. Close windows and window coverings in the morning before the day heats up, and then open them in the evening to flush your house with cooler air. Just like going under a tree for shade, keeping the lights off on a hot day will help limit the heat generated in your home. Turn off your lights when they are not in use. Incandescent light bulbs give off a lot of unwanted heat by switching to LED or CFLs light blubs this will help with the cooling down of your house. Good insulation isn’t only for the winter! By adding more insulation to your house in the summer you can actually reduce your utility bill during both seasons. The extra insulation will keep the accumulated cool air in your house and the unwanted heat out. Summer time is a great time to get your roof redone. If you have the choice, choose a lighter roof or roof coating. It will reflect sunlight rather than absorbing it.